« Birmingham air pollution: mitigation or abolition? 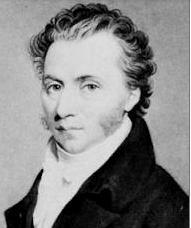 Thomas Attwood, banker, economist, democrat – Birmingham’s first MP – was the first to argue that government should counter economic depressions by increasing the money supply and directing this money towards ensuring full employment. 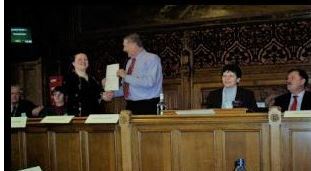 70 or so MPs from five parties, including city MPs Lynne Jones and Roger Godsiff, signed a series of EDMs (2002-7) initiated by Austin Mitchell. They recommended increasing the supply of public money – which is issued interest free every year by the government – to meet public needs such as the building of schools, hospitals, renewable energy technology and public transport, without going into debt. The Bank of England announced a further £60bn of its quantitative easing programme in August this year, taking the total of e-printed money to £435bn, the equivalent of nearly £7,000 for every man, woman and child in the country. Mark Carney is on record as saying that, if the government requested it, the next round of QE could be used to buy assets other than government debt . . .
Paul Dale reported at the time that expansion of the quantitative easing programme was given a cautious welcome by Birmingham city council leader John Clancy, who said the decision would be “great news” if the new liquidity was spent on infrastructure investment rather than ploughed into share buy-back schemes or pensions funds. In the Guardian (December 7th) he wrote: “Instead of using this staggering amount of money to prop up the banks and inflate stock markets, property and other assets, the new £60bn of QE should be used to buy bonds from a national investment bank and from local authorities to generate a “jobs in every constituency” programme. “This would give all people, not just the left behind, a sense of hope about their economic future and should involve decentralised infrastructure projects centred on a decades-long, multi-skilled programme of energy refits of all the nation’s 30 million dwellings, a shift to localised renewable energy, and a rebuilding of local transport, food and flood defence systems . . . and in doing so really tackle the economic insecurity that is pure oxygen for the extreme right”.